Islam | can i just finish my waffle? Commenter says allah is minor deity in the Temple of Baal. *I say he is satan*. Comment on FB by Mark Solheim: These are things you as a Christian need to know about Islam and Muslims. Allah IS NOT the same God who is worshipped by Jews and Christians. Allah is no more a God than the Golden calf of Egypt. Allah predates Islam by over a thousand years, and was a minor deity in the Temple of Baal, the Canaanite Sun God, who was worshipped throughout the Middle East. Baal (ba’al) was an ancient Canaanite and Mesopotamian deity associated with agriculture. He was believed to be the “giver of life” and mankind was dependant upon him for providing what was necessary to sustain the farms, flocks and herds. Allah was the moon god who’s sign was the crescent moon. Mohammad, born 570 years after the Birth of Christ, was very familiar with Judaism and Christianity and stole traditions from both religions to create his own cult. He took the named Allah for his God because it was familiar to Arabs across the region. This is why you so often see the symbol of the crescent moon associated with Islam, and on so many Islamic flags. Mohammad asked the Jews to recognize him as a Prophet from God, which they refused to do. Because of this Mohammad turned upon the Jews, and Muslims have hated and despised the Jews ever since. Mohammad warred upon the Jews, and slaughtered whole villages, decapitating the men, and selling the women into slavery. Mohammad himself set the example to his followers by demanding from his captors that they either convert to Islam or be put to death; a tradition that carries on even to this day. Upon Mohammad’s death in 632 A.D., a rift developed amongst Muslims as to who should succeed as leader of their cult. Thus you have the Shia and Sunni. Muslims following Mohammad’s exampled raped, pillaged and plundered their way across the Middle East and North Africa, Murdering those that would not convert to Islam. In the year 711 A.D., Muslims (called the Moors) crossed the Strait of Gibraltar and invaded Spain. In 827 A.D. the Muslims invaded Sicily, and in 847 A.D. the Italian port of Bari (occupied from 847 until 871), with Muslim raids reaching as far north as Rome and Piedmont. During this same time period, the Muslims invaded Europe in the east, first laying siege to Constantinople in 674–678 A.D. Muslims continued their depredations until In March 1095, Pope Urban II received an ambassador from the Byzantine Emperor asking for help against Muslim invasion and another siege of Constantinople. THIS is what prompted the Crusades of the middle ages, an attempt to put an end to Muslim aggression! The fact of the matter is that Europe was being invaded in both the East AND the West! Lets be clear, What we are seeing today in the Mideast, and elsewhere is not radical Islam. This is what Mohamed intended his cult to be, and this is what Islam was when it raped pillaged and plundered its way across the Middle east, North Africa, and Invaded Spain and Europe with the intent of taking over the entire world. Let there be no mistake, it is the intent of Islam to take over the world. This death cult must be stamped out. Okay. What is he doing? In his speech today he made reference to a group in Syria called the Khorosan or Khorasan Group. Where the heck did that come from and who are they? Supposedly they are some part of al Qaeda. That’s the explanation so far. Last night, we also took strikes to disrupt plotting against the United States and our allies by seasoned al Qaeda operatives in Syria who are known as the Khorosan Group. And once again, it must be clear to anyone who would plot against America and try to do Americans harm that we will not tolerate safe havens for terrorists who threaten our people. Suffice it to say, I do not trust him, a man who has lied to us numerous times, to the point where I think that the truth is not in him. He will say anything to get his desired result and after that, he does not care if it comes out he lied. It’s done. Too late. Now, he said ISIS was not Islam. Of course, they are Islamic, but who does he say they are? Is he contending that Khorogan is also not Islamic? I am also very suspicious of his coalition, a coalition of Arab countries led by Barack Hussein Obama? What is wrong with this picture? I heard someone say that ISIS was a Sunni organization. And I also heard the Arab nations led by Obama are also Sunni. So do we have Sunni vs Sunni? Can’t believe anything you hear on the corrupt media, but none of it adds up to me, all the more reason I am wondering what he is doing. They are all Muslim of one kind or another. They are all Islamic. So we have Barack Hussein Obama leading Arab/Muslim countries in a battle against – who knows? What will time tell? I am waiting to see. But when it is revealed, will it be too late? Is it already too late? P. S.: Just saw where Holder is teling Katie Couric that Khorogan could be more dangerous than ISIS. That’s hard to imagine, but looks like the lying administration is shifting from ISIS over to Khorogan. Smoke and mirrors. All is deception with these people. Here in the United States, countless publications provoke offense. Like me, the majority of Americans are Christian, and yet we do not ban blasphemy against our most sacred beliefs. Moreover, as President of our country, and Commander-in-Chief of our military, I accept that people are going to call me awful things every day, and I will always defend their right to do so. It always, always boils down to the me, me, me of obama. He jumps from talking about blasphemy to “awful things” said about him every day. I’m not sure if he is comparing himself to Muhammad or Jesus Christ. Whichever it is, maybe both, he thinks next of who? Himself. Do you think he regards saying awful thing about him as blasphemy? Probably. Posted: 09.25.12 A. D. @ 5:40 p.m.
On the eve of his first trip to the United States as Egypt’s new Islamist president, Mohamed Morsi said the United States needed to fundamentally change its approach to the Arab world, showing greater respect for its values and helping build a Palestinian state, if it hoped to overcome decades of pent-up anger. Morsi, we don’t respect your “religion of peace.” We don’t respect your “values.” We don’t respect a religion that screams Death to America, burns our flag, kills our people. It’s not our behaviour that needs to change. parts of the Muslim world. We’re running out of patience with the religion of “peace” and intolerance. Posted: 09.23.12 A. D. @ 5:41 a.m.
obama “often falls on his knees in prayer.” Right! Probably about 5 times a day with his forehead to the floor. He also uses the Name of Jesus to push his political agenda. I think he blasphemes. “I know the version of that Golden Rule is found in every major religion and every set of beliefs — from Hinduism to Islam to Judaism to the writings of Plato,” Obama added. The president said he often falls to his knees in prayer, and emphasized the role of his religious values in determining where to lead the country. Obama maintained that his call for the wealthiest to give up their tax breaks, he’s doing so out of economic necessity, but also in line with biblical teachings. “And I think to myself, if I’m willing to give something up as somebody who’s been extraordinarily blessed, and give up some of the tax breaks that I enjoy, I actually think that’s going to make economic sense. But for me as a Christian, it also coincides with Jesus’s teaching that ‘for unto whom much is given, much shall be required,'” Obama said, noting Jewish and Islamic teachings say much the same thing. Find me one time in the Bible where it says we are to give charity through the government. Especially not This government that is smacking down the church at every hand. And he has the nerve to talk about the teachings of Jesus. I guess he forgot about the part where tax collectors were considered to be thieves and robbers. Of course, he makes sure to emphasize that there’s nothing special about Jesus because from “Hinduism to Islam” it’s all pretty much the same, even including Plato. That is a stunning statement – because he claims to have been “extraordinarily blessed” by God (because who else blesses) he will give up his tax breaks? God Himself only requires 10%. P. S.: Just thought about this one: Pastor obama, what say you about this biblical teaching? Posted: 02.02.12 @1:51 p.m. Update: 02.03.12 @ 1:30 p.m. If Joe Biden ever calls another American a barbarian, he should be driven out of office. Isn’t Libya a muslim country? Maybe they should have contacted John Brennan. There is no set of circumstances one could imagine that even the body of bin Laden would be dragged through the streets of New York City because that would be against all humanity and – forget islam – it would be especially against Christian practices. MISRATA, Libya (AP) — Moammar Gadhafi’s blood-streaked body was on display in a commercial freezer at a shopping center Friday as Libyan authorities argued about what to do with his remains and questions deepened over official accounts of the longtime dictator’s death. New video emerged of his violent, chaotic last moments, showing fighters beating him as they drag him away. Nearly every aspect of Thursday’s killing of Gadhafi was mired in confusion, a sign of the difficulties ahead for Libya. Its new rulers are disorganized, its people embittered and divided. But the ruling National Transitional Council said it would declare the country’s liberation on Saturday, the starting point for a timetable that calls for a new interim government within a month and elections within eight months. The top U.N. rights chief raised concerns that Gadhafi may have been shot to death after being captured alive. In Misrata, residents crowded into long lines to get a chance to view the body of Gadhafi, which was laid out on a mattress on the floor of an emptied-out vegetable and onions freezer at a local shopping center. The body had apparently been stowed in the freezer in an attempt to keep it out of the public eye, but once the location was known, that intention was swept away in the overwhelming desire of residents to see the man they so deeply despised. Men, women and children filed in to take their picture with the body. The site’s guards had even organized separate visiting hours for families and single men. “We want to see the dog,” some chanted. Gadhafi’s 69-year-old body was stripped to the waist, his torso and arms streaked with dried blood. Bullet wounds in the chest, abdomen and left side of the head were visible. Arab broadcasters showed graphic images of the balding, goateed Gadhafi – wounded, with a bloodied face and shirt – but alive. Later video showed fighters rolling Gadhafi’s lifeless body over on the pavement, stripped to the waist and a pool of blood under his head. Standing, he was shoved along a Sirte road by fighters who chanted “God is great.” Gadhafi appears to struggle against them, stumbling and shouting as the fighters push him onto the hood of a pickup truck. He was driven around lying on the hood of a truck, according to the video. One fighter is seen holding him down, pressing on his thigh with a pair of shoes in a show of contempt. The funeral for former Libyan ruler Moammar Gadhafi was to have taken place Friday, in keeping with Islamic tradition that bodies be buried as soon as possible. But a host of concerns have caused the body to be placed in temporary storage instead — and an inquiry may be launched into how he died. Update at 1:15 p.m. ET: Several news agencies have confirmed that a U.S. Predator drone aided the attack on a large convoy as it attempted to leave Sirte Thursday — and that Gadhafi was in the convoy. The air attack, by at least one drone and several French jets, was reported by The Daily Telegraph Thursday. More details of the drone’s role in the attack are on Wire’s site. In the case of Laden s corpse flip-wing V-22 Osprey flew the body from a US base in Afghanistan s Bagram to USS Carl Vinson�a thousand-foot-long nuclear-powered aircraft carrier sailing in the Arabian Sea off the Pakistani coast –in another violation of Islamabad s airspace Once the body reached Carl Vinson it was washed wrapped in a white burial shroud weighted and then slipped inside a bag The process was done in strict conformance with Islamic precepts and practices (John) Brennan later told reporters in Washington. 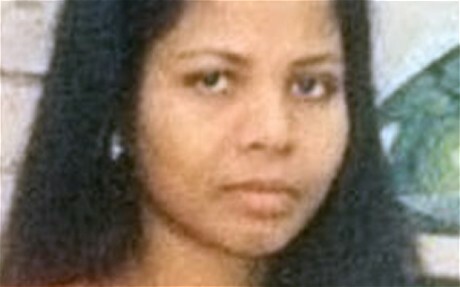 Posted: 10.22.11 @ 12:02 p.m.
Pakistani court has sentenced 38-year-old Christian, Asia Bibi, to death under the regime’s strident blasphemy law. Bibi was sentenced on Nov. 7 under Section 295-C of Pakistan’s Criminal Code. Section 295-C provides that anyone convicted of blasphemy is sentenced to either life in prison or death. However, Racho explained that (even an) acquittal in Pakistan doesn’t always end the issue. “In Pakistan, it’s a very complicated situation. Let’s say the court acquits her, it’s not going to be enough for Asia and her family to live freely. The Muslim world is going to carry out its own vigilante justice against her,” he said. “Even if the higher court releases her, Asia and her family face the reality of possibly being killed by the Muslim mobs. Now, please tell me, if this is the law (execution for blasphemy of Mohammad) and in addition to that “the Muslim world is going to carry out its own vigilante justice” and “killing by muslim mobs” how can it be said that this type of intolerance and hatred is not part of mainline Islam. Would we allow such a law in the United States of America? You know we would not. And this is why we cannot allow not even a small measure of muslim justice to prevail in this country. And yet muslim imam Rauf has the guts to call for tolerance for him to build a mosque at ground zero? And they have accused us of islmaphobia. Ridiculous. Seems to me the whole of Islam is Christianphobic, and Americaphobic as well. They demand tolerance they do not extend. Not.